My work on Forkfly was an extension of the Mealstub project. 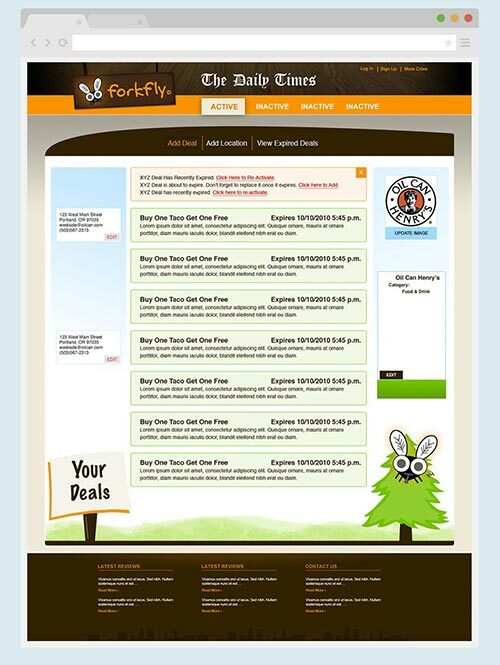 Forkfly had an existing brand, built around a cartoonish fly character. The product hadn't explored this fun aspect beyond the logo, though. The opportunity was there to expand this concept throughout other aspects of the site. I worked with Cloudmanic Labs and Forkfly to generate ways to expand the brand into the entire interface and UI of the site. We brainstormed concepts, and came up with the idea to anthropomorphize the fly and place it in different situations, depending on the context. This was carried out into the interface, as well. Skeuomorphism was very popular at the time, so I made objects look like real world objects. 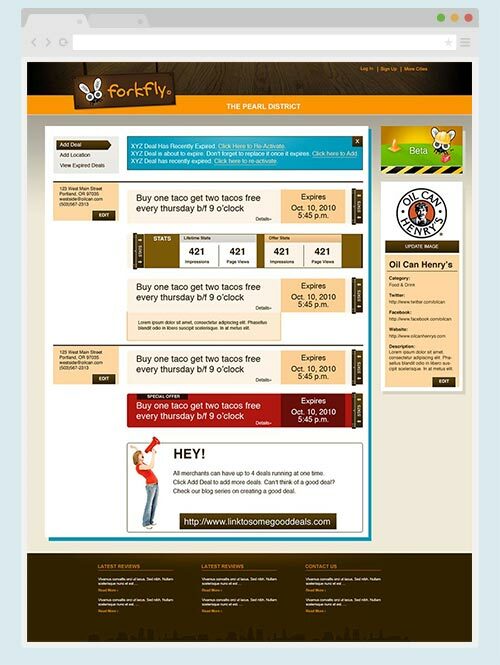 I gave the Forkfly some life by putting it into illustrations that lived on the site's headers and footers and in sidebars. 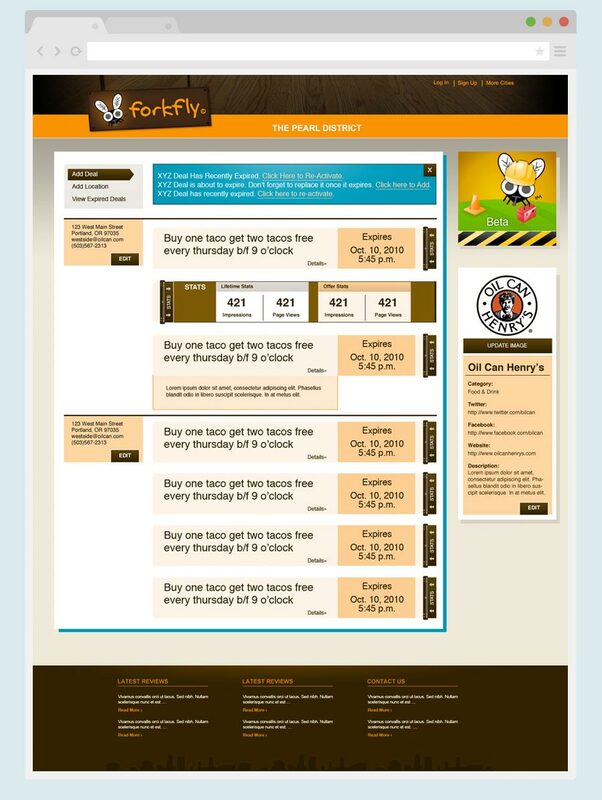 I only worked with Forkfly for a brief period while living in Portland. 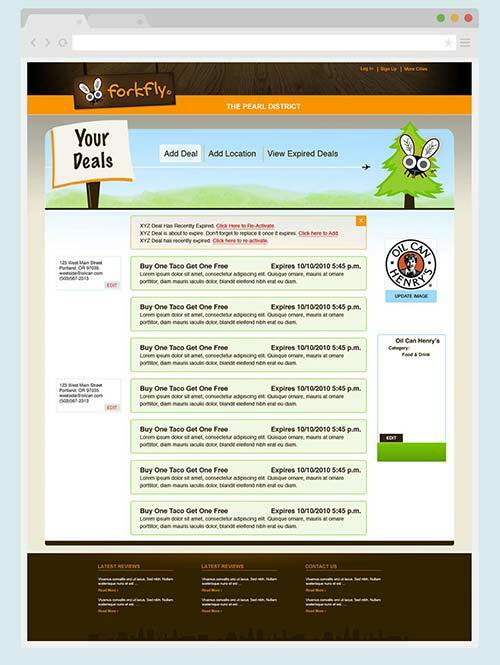 Forkfly incorporated the elements to make their site more fun, and continued on for several more years in the difficult and competitive environment of coupon sites.